Established in 1957, the Oakland University is a public institution with an undergraduate strength of over 15,800. The university ranks Tier 2, National Universities in the list of the Best Colleges for 2013. 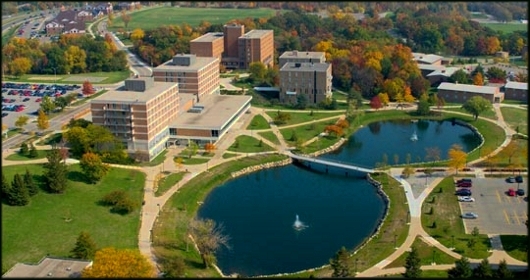 Its different schools include the College of Arts and Sciences, School of Business Administration, School of Engineering and Computer Science, Oakland University William Beaumont School of Medicine, School of Nursing, School of Education and Human Services, School of Health Sciences, and Continuing Education. The Oakland University is located in a suburban area in Rochester, Michigan. It is around 30 miles from the famous city of Detroit. The OU has a relatively higher acceptance rate of over 67%. The university is located in a suburban setting with the amazing campus spread across an area of more than 1,440 acres. It has world class golf courses and recreation centers in its campus. The campus is more or less wooded with some beautiful landscapes. The OU Golf and Learning Center offers 2 world-class golf courses – the Katke-Cousins and the R&S Sharf Golf Courses. The courses host both amateur and professional tournaments from time to time. The Oakland University has two reputed libraries – the OU William Beaumont School of Medicine Library and the Kresge Library. The libraries are located in the center of this beautiful campus and they offer research support, study and computing facilities and library instruction. Oakland University has more than 15% of its students living on-campus in excellent housing facilities including suites, apartments and residence halls. The remaining 85% of the students live off the campus. Beyond the academic life, students have an active community-life experience in Oakland University. There are over 200 organizations, clubs, student governments and Greek life societies on the campus. Students who are interested in sports could consider joining the OU Golden Grizzlies teams. Students can also compete in the Oakland university basketball competitions. Another interesting feature about the university is that all students, in addition to the staff and faculty, have a registered Oakland university webmail. The Oakland University has a student to faculty ration of 21 to 1, and interestingly more than 40% of the classes have student strength of les than 20. The retention rate of 73% is still higher compared to most of the other universities. Best Courses: Health Professions, Management, Business, Marketing, Journalism, Communication, Social Sciences and Education. The Oakland University has almost 68% of the full-time undergraduate students receiving some type of need-based financial support. The average scholarships and grants are however relatively not big at $4,470. The Oakland University doesn’t have any separate application for its merit scholarships. However, there are a few awards that need to be applied separately. This includes the Alumni Legacy Award, international student scholarships and the OU-Macomb scholarships. The leading scholarships in OU are the Anibal, Benjamin Scholarship, the Anibal-Burgum Scholarship, the Auburn Hills Scholarship, the Cross (Milo J.) Memorial Scholarships, and the Campbell-Ewald Scholarship Fund. 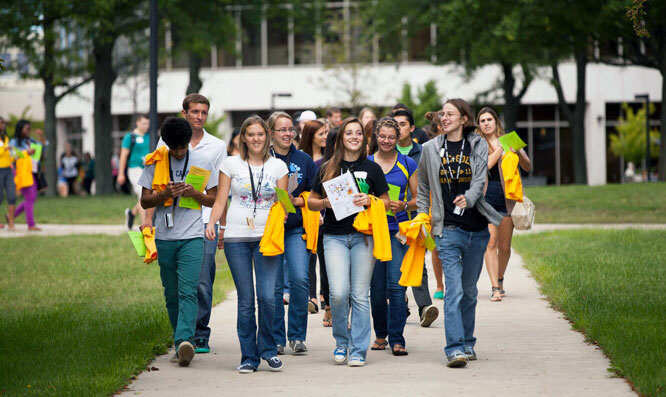 The Oakland University has thousands of foreign students from more than a hundred countries from around the world. The OU offers an electronic mail service to all its faculty, staff and even registered students. Everyone will have an official Oakland university webmail address. In addition, there is an intranet system, called the Oakland university sail. However, only faculty and staff members can access this facility. The Oakland university bookstore makes it possible for students to procure any reading material they will require. The Oakland University has varsity teams that participate in the NCAA Division I Summit League, and their mascots are Grizz and Clawzz. One of the popular alumni of the university is Jasna Reed, the tablet tennis Olympian. She earned a degree in political science from OU.